“Saturday Night Live” alumnus, Chris Kattan, was pulled over on Monday for DUI in Los Angeles, according to California Highway Patrol reports. 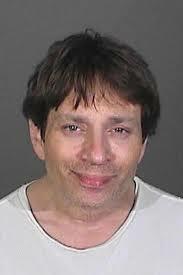 The 43-year-old Kattan hit a construction truck on the 101 Freeway at around 2 in the morning in Encino. CHP says that the truck had been parked on the shoulder. Kattan suffered a bloody nose in the crash. Fortunately, no construction workers got hurt, since no one was in the vehicle. Police took Kattan to a Van Nuys precinct and booked him. • You can lose your license for a whole year… without the possibility of getting a restricted license for work or school. For help understanding the nature of your Los Angeles DUI charge, connect with the team here at the Kraut Law Group today for a free, confidential consultation.